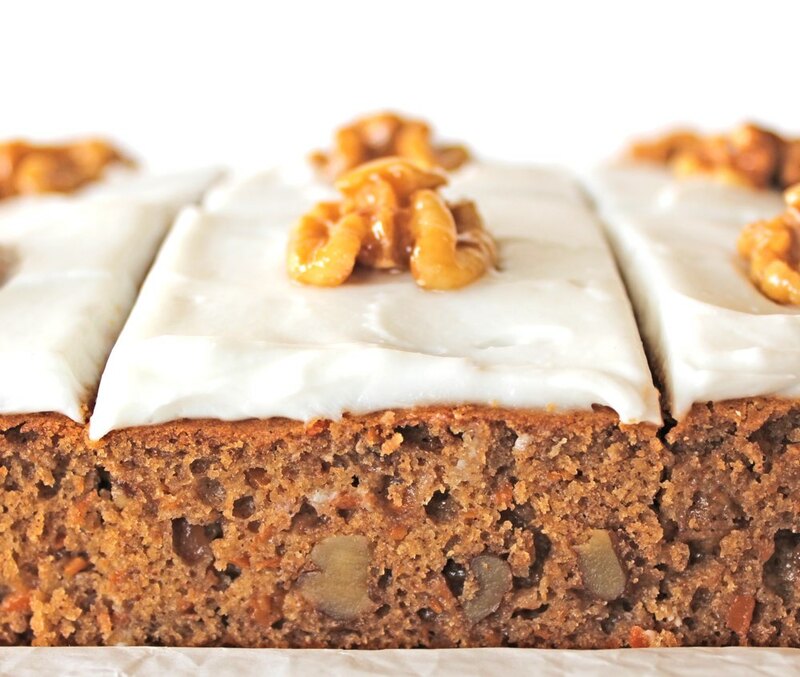 Today, I’m finally publishing my recipe for a vegan carrot cake that’s just perfect for sharing with friends and family. 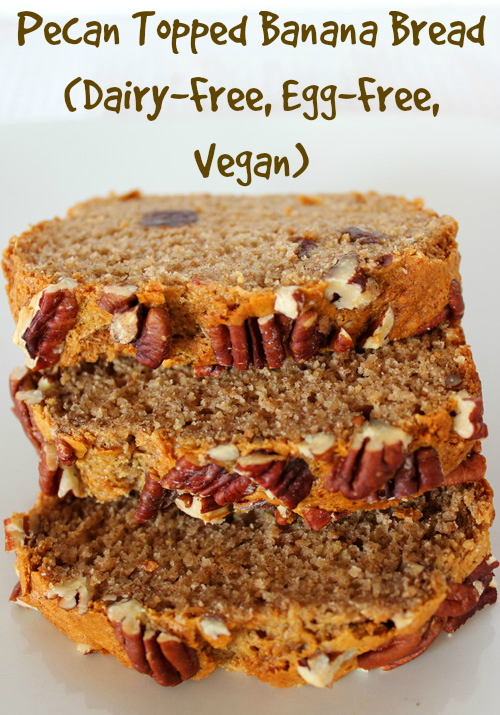 It contains no dairy or eggs, yet tastes just as good (if not better!) than its traditional counterpart. This was the cake that I chose to bake for my mum’s and father-in-law’s birthdays this year and I’m pleased to say, it went down a treat! 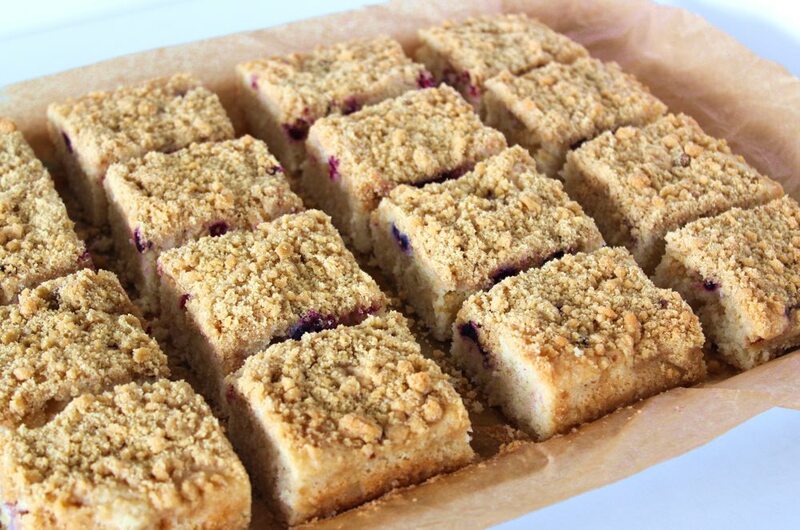 In today’s post, I’m sharing a recipe for a delicious baked treat – Lemon Berry Crumble Slices. 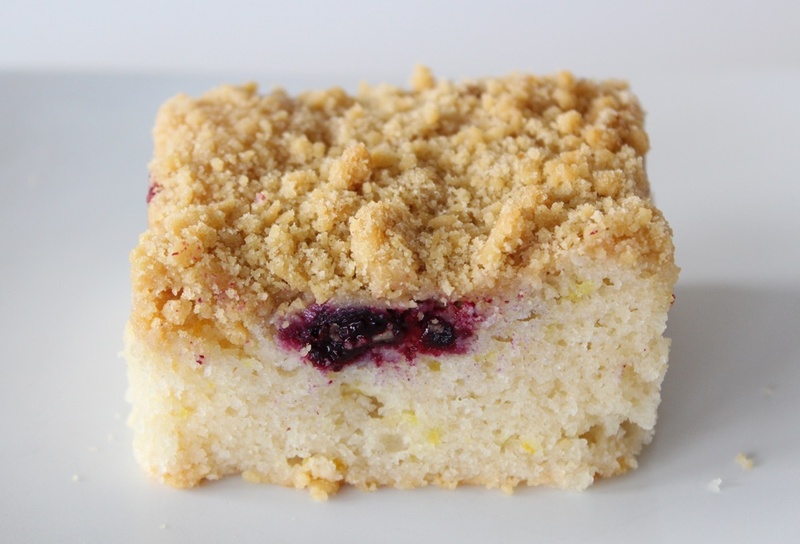 These slices consist of a fluffy lemon sponge, studded with juicy berries and topped with crumble. They use basic pantry ingredients and are simple to make, yet they’re bound to impress your family and friends! In today’s post, I’m sharing a recipe for a delicious Pear and Yogurt Cake. 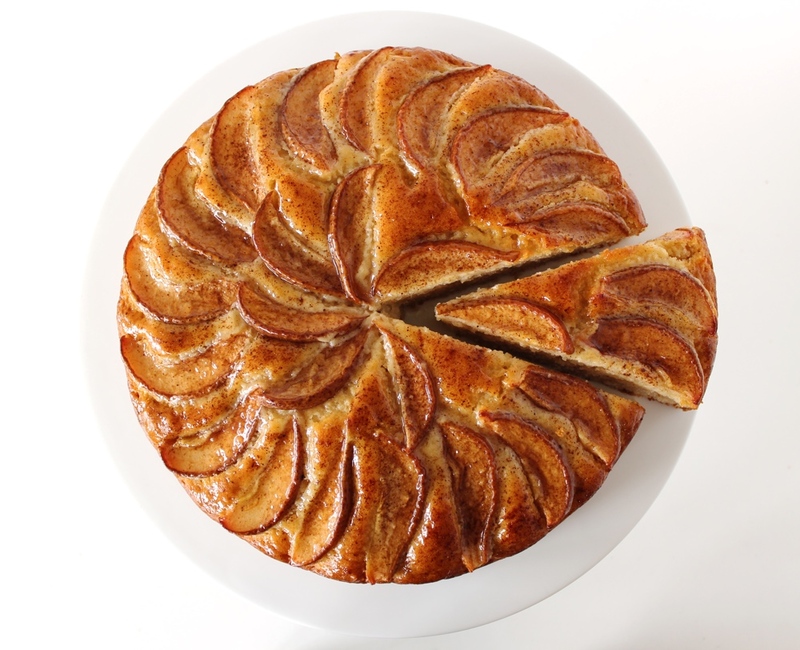 While simple to make, this cake looks pretty impressive with its glistening pear and cinnamon-speckled top. The cake itself has a beautifully moist, light and fluffy texture and is flavoured with hints of vanilla and almonds. I know some people with gluten sensitivities are able to tolerate spelt flour and this cake works just perfectly with white spelt flour. Otherwise regular plain (all-purpose) flour or even a combination of half white/plain flour and half wholemeal or chapatti flour works great. The inspiration for this cake was a visit during May half-term break to one of my favourite cafes in Bristol – Roll for the Soul. This community-run cafe also houses a cycle workshop and event space. It has a great atmosphere and lovely food and coffee, so I highly recommend a visit if you’re in the area. Back in 2013, I shared the recipe for a Lemon Drizzle Cake that I baked for my mum for Mother’s Day. It proved to be a big hit with my readers and, four years later, it’s still one of the most popular recipes on my blog! Though I made it specifically with my mum in mind, the Lemon Drizzle quickly became my husband’s favourite cake. It’s the one he’s requested every birthday… even though his birthday is a week before Christmas and Lemon Drizzle feels like a Spring-time cake (well, to me anyway!) Recently, however, I made an adaptation of the Lemon Drizzle and, after tasting it, my husband declared that THIS one may just be his new favourite! My “Go-to” Chocolate Cupcake Recipe. Dairy Free. Egg Free. Vegan. 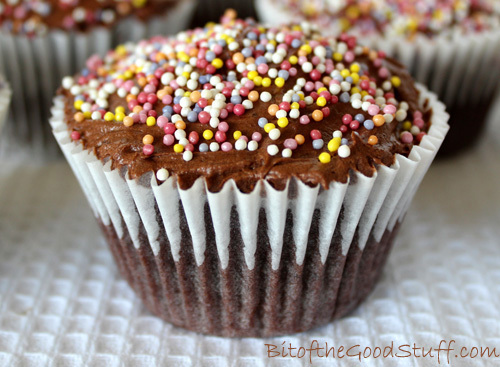 Today I’m sharing my “go-to” recipe for chocolate cupcakes. This recipe has never left me down. My oven can be really temperamental when it comes to cake baking, but these cupcakes always turn out perfectly. They’re light, fluffy and deliciously moist. I’ve made them numerous times for fundraisers and they always sell in a flash. None of the children at our local school are vegan, but they choose these cupcakes simply because they love them. It also makes me happy to know that the children with dairy allergies are able to join in. I often spot their mums making a beeline for me as I step through the school gate with my cake tin. 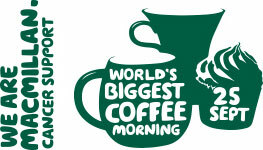 Next Friday is the annual Macmillan coffee morning here in the UK, which has now gained the status of the World’s Biggest Coffee Morning. Last year, the event raised a wopping £25 million for people affected by cancer. Hi everyone! I hope you all had a great Easter. I’ve finally plugged back in after my extended break. It did me the world of good to have some time out but I missed you guys! Thank you so much to everyone that’s emailed or left me feedback on the blog about recipes you’ve tried these past few weeks. You guys have made me smile so much! 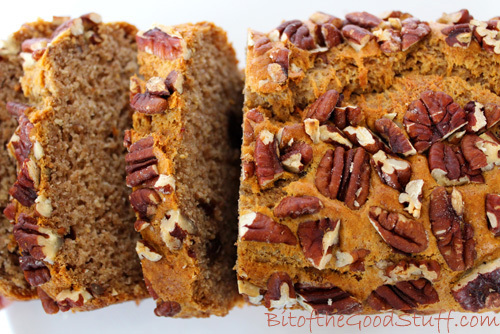 For banana bread, you want to use very ripe bananas – the blacker the better. 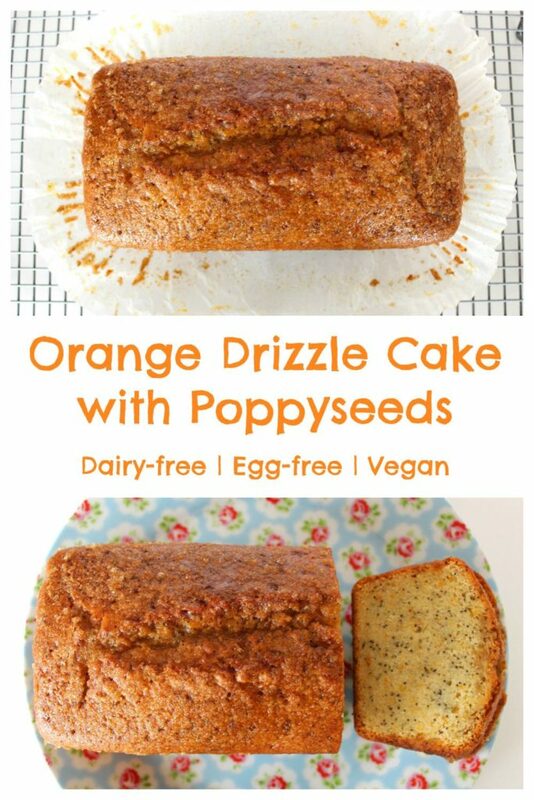 So, if you’ve got some bananas languishing in the fruit bowl, this recipe is a great way to use them up. Since banana bread can be a bit plain looking, I like to dress up our loaves by adding toppings or extra ingredients into the batter. 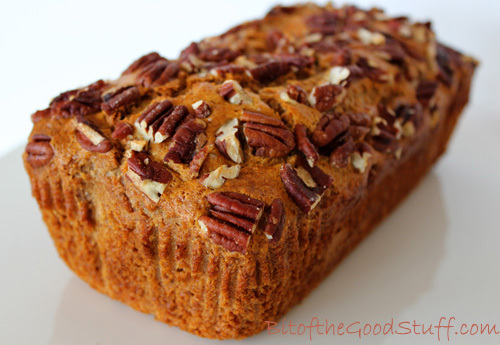 In this loaf, I’ve sprinkled a handful of pecans on top which impart a delicious flavour and crunchiness when baked. In the centre, I’ve added some chopped dates for a touch of caramel-like sweetness. If you wish, you could sub some of the dates for chopped nuts in the batter. Pecans or walnuts work especially well. Though I’ve given this loaf the traditional name of ‘banana bread’, it’s so sweet and moist that it’s definitely more cake-like than bread. I find it makes a lovely afternoon ‘pick me up’ with a cuppa. Kids love it too and it makes a great after-school treat. Preheat the oven to 180C (160C fan) / 350F. Grease and line a 2lb loaf tin with non-stick baking paper or use a non-stick loaf liner. Place the sliced banana, oil, sugar and vanilla extract in a food processor and whiz until smooth (alternatively use a bowl and hand blender). Sift the flour, baking powder, bicarbonate of soda and salt into a large mixing bowl and stir to combine. Tip any remaining wheatgerm from the sieve into the bowl. Stir to combine. Make a well in the middle and pour in the banana mixture. Gently stir until thoroughly combined. Stir in the dates. Tip the mixture into the prepared tin and level with the back of a spoon. Sprinkle the pecans on top and lightly press them into the batter. Bake for 55 minutes, or until a skewer inserted through the middle comes out clean. Leave in the tin for at least 30 minutes, then transfer to a wire rack until completely cooled. The loaf will keep for 5 days in the refrigerator. It also freezes well.